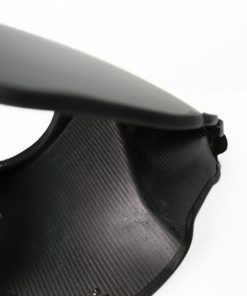 -Air flow guide design to minimize turbulence in air box. 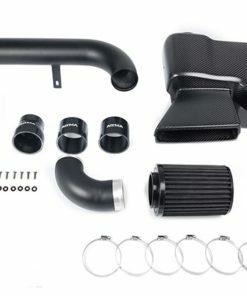 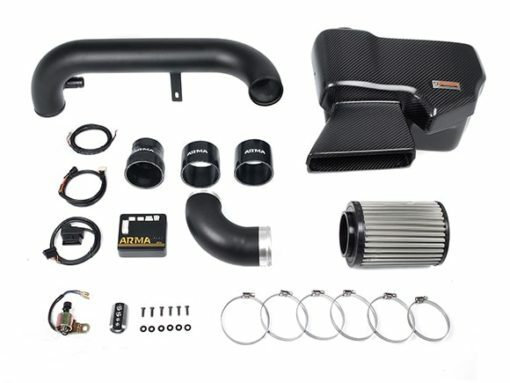 Arma carbon fiber intake with our unique airflow guide design and carbon airbox isolating hot air from engine bay provides maximum cold air into the engine. 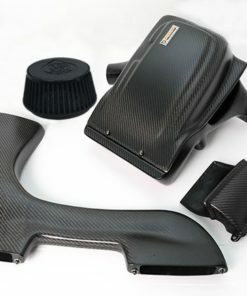 Breakthrough carbon manufacturing process and harmonius integration into the engine bay contributes to Arma carbon fiber intake’s inkreased visual appeal. 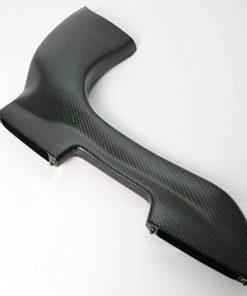 There are two types of Arma carbon fiber intake, non-variable and variable intake. 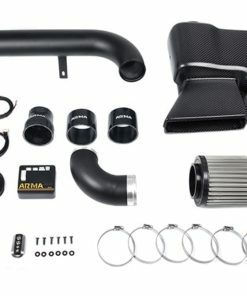 Non variable intake: Arma carbon fiber intake with hyper flow filter. 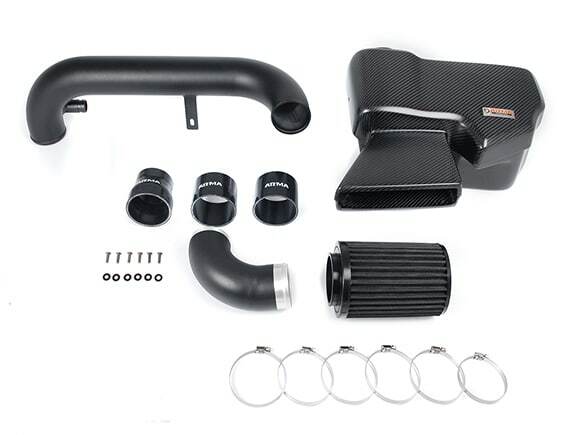 Variable intake: Arma carbon fiber intake with stainless steel valvetronic filter. 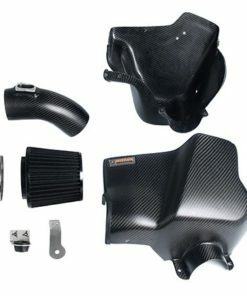 Variable intake consists in of a metal filter with a built-in variable valve. 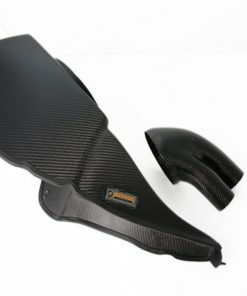 It is an exclusive ArmaDesign patented in Germany. Main purpose is to recover the loss of torque at low rpm common to aftermarket filters. 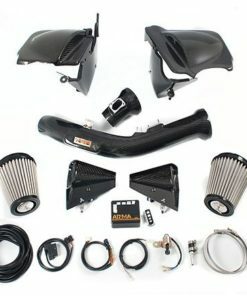 Easy to maintain and replacement not necessary. 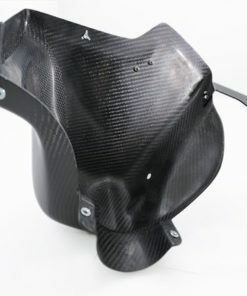 After connecting Arma ECV to the car via the OBDII port, opening of the valve can be set at the desire engine rpm via remote control. 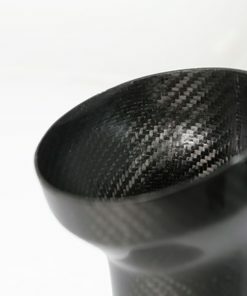 Option WiFi app control available.